A consortium of universities and corporations led by Rochester Institute of Technology has been chosen to receive a state grant to establish a New York State Center for Advanced Technology in Additive Manufacturing and Functional Printing. The award, $921,000 a year renewal for up to 10 years (subject to annual performance evaluations) was announced by Empire State Development, New York state’s economic development agency. The state said the RIT consortium was chosen from a highly competitive pool of applicants. The center, to be called the AMPrint Center for Advanced Technology, will be based at RIT. Its focus will be to conduct research and development in 3D printing and additive manufacturing, an industry seen as a key economic driver for the Finger Lakes region and New York state because of its application to a wide range of companies and products. 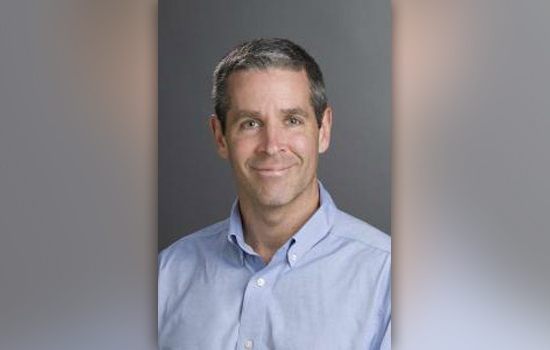 Denis Cormier, RIT’s Earl W. Brinkman Professor and a national expert on 3D printing and additive manufacturing, will lead the AMPrint Center. The consortium’s university partners include RIT, Clarkson University and SUNY New Paltz and corporate partners Xerox Corp., GE Research, Corning Inc., Eastman Kodak Co. and MakerBot. Smaller, regional companies will also collaborate with the center. In launching of the center, the state seeks to further propel an industry that’s experiencing remarkable growth. According to Wohler’s State of the Industry Report, 2014, the worldwide 3D printing industry is now expected to grow from $3.07 billion in revenue in 2013 to $12.8 billion by 2018, and to exceed $21 billion in worldwide revenue by 2020. Cormier said the center will serve as the state’s focal point for applied high value research and development in this industry. He described the Finger Lakes region as a functional 3D printing “ecosystem” because of the expertise from a collection of high-tech innovators in the area with experience in print materials, print process systems design and high volume sales and distribution channels and flexible electronics. Additive manufacturing refers to a process of joining materials, usually layer upon layer, to make objects from 3D model data. It is most often used for design and modeling, fit and function prototyping and parts production, and is acclaimed because it can result in significant savings of time and money, as well as enhanced quality of products, such as flexible electronics. Research partners in the consortium will develop next generation polymer, metal and composite technologies, and use the new facility to synthesize advanced functional materials, develop additive manufacturing technologies, design novel devices using the new materials and technologies as well as determine the means to commercialize the new materials, processes and applications to foster New York’s economy. Each of the partners brings unique capabilities to the consortium in such areas as printable nano-inks and devices that use these inks. RIT’s has a pulsed photonic curing system capable of fusing the inks into solid form through thermal processing that makes the materials and devices operational. The advanced curing system for printed materials can thermally process and fuse high temperature metals and ceramics onto low temperature paper or plastic. These are the foundational materials being used for flexible electronics, considered a targeted growth market for New York state. The AMPrint Center is one of 10 Centers for Advanced Technology announced by the state. The centers support university-industry research and technology transfer in commercial relevant technologies. Grants are awarded through a competitive program intended to spur economic growth, promote workforce development and increase the competitiveness of N.Y. companies in the global marketplace. Comments from the Rochester delegation are available at www.rit.edu/news/story.php?id=52994.